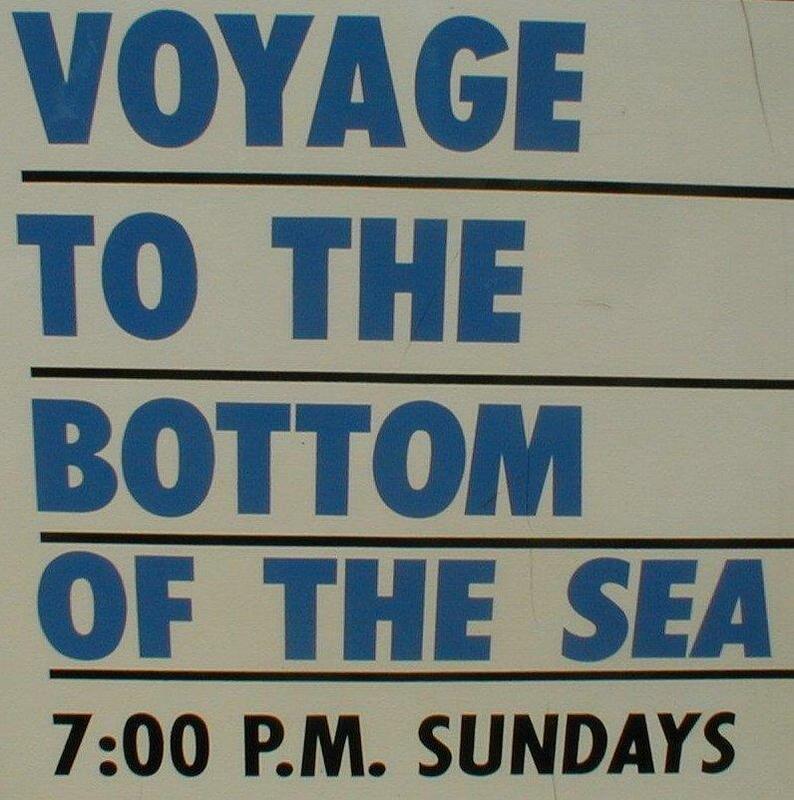 "From the depth of the ocean floor come this very rare promotional billboard poster from, Voyage to the Bottom of the Sea". When I first saw this piece on eBay, my mouth just drop from true excitement! Wow! I just had to have this for my collection. After the auction ended not meeting the reserve price with only 6 bids, I contacted the seller on the item. The original owner of this item, and many others was going through an ugly divorce. He was a very avid collector of Irwin Allen's shows. I spent over $8,000. buying many rare pieces, on one of the greatest auctions ever to hit eBay history. I was also competing on items of interest with Kevin Burns, and Sheila Allen. not to mention a few others, that were also in the hunt as a hopeful new owner of one of these many items for sell. I finally struck a deal with the seller, and the Voyage promo poster was at my door step, waiting to be opened. This billboard poster was made in the early 1960's promoting the TV show by WXYZTV channel 7 in Detroit. 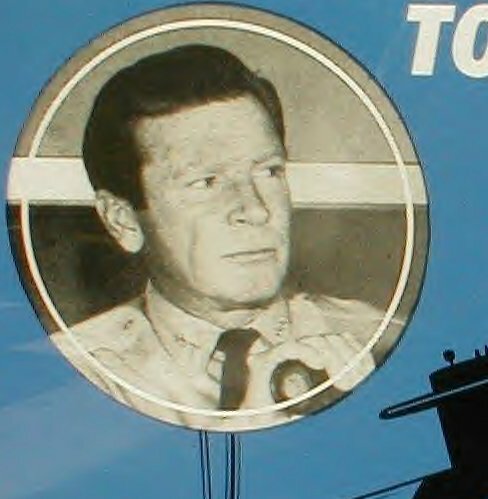 The poster was used for transit buses, and other means of advertising the show. The poster is printed on a light skin paper backing, printed in blue, black, and white ink, and measures 45x24. The framing that was added is horrible, and I will be re-framing it, for which it respectively deserves. 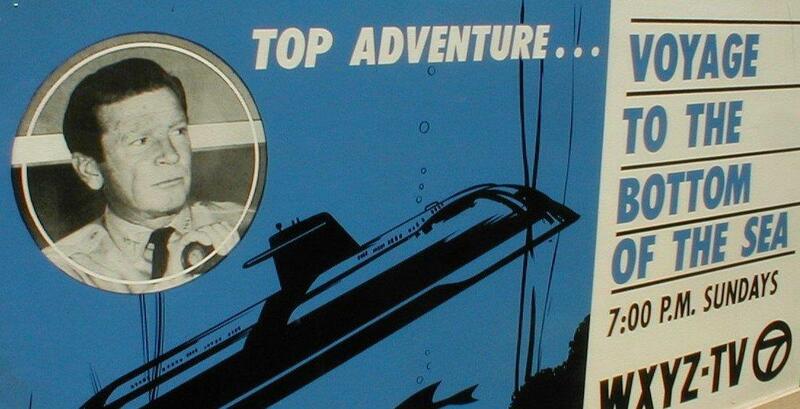 Actor Richard Basehart is also featured on the poster, as well as the famous submarine, the Seaview. I purchase this item on 11/21/00 from Michael Melito of Boston, MA.